Some English words have many uses. 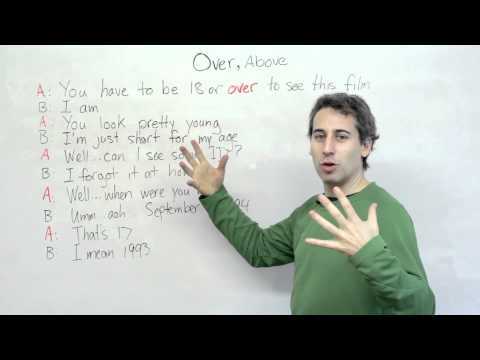 In this lesson we look at the usage of the word OVER, especially when talking about ages and speeds. I will talk about the word ABOVE in my next lesson.